Welcome to the Days Inn Lake City, FL. Whether you are traveling for business or pleasure, you will appreciate a hotel that offers useful amenities and superior customer service. This is exactly what you will find at our two diamond Days Inn hotel. 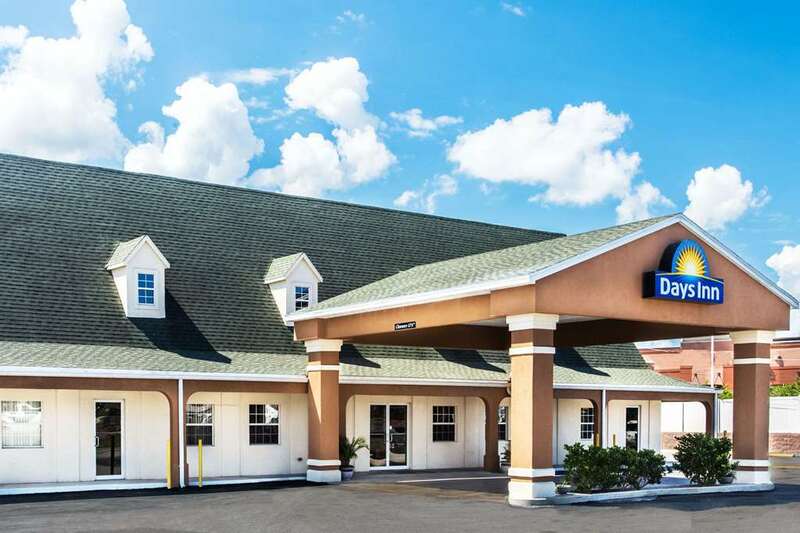 We are conveniently located off I-75 exit 427, .25 miles from 1-75, the closest Days Inn to Lake City VA hospital and just four miles west of Historic Downtown Lake City. You will find plenty of activities for everyone in your family to enjoy, whether you are exploring historic Olustee Battlefield, Enjoying nature in the Osceola National Forest or picnicking at the Itchetucknee State Park or the Suwanee River. A few of our amenities include Free Continental Breakfast served from 6-10AM daily, Free USA Today, Refrigerator in every room, Free parking/RV/Truck/Bus, Cable TV with HBO and more. Small pets are allowed for a fee, Rollaway available.